Discussion in 'Sesame Street' started by Oscarfan, Aug 12, 2015. 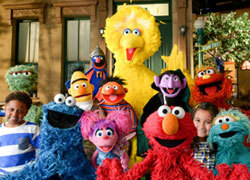 What is the biggest major change Sesame Street has been through in the past 46 years? coming she thought: It's a good time to go. I think it's just a coincidence that she left before this deal was made. In SW's own press release about the set changes back in April, it's said the season will start "fall of 2015 on PBS Kids." So, this deal wasn't established then. And at that point, the season had been written and the shows were being shot, without Sonia. So, I'm guessing she told the producers before they started working on the season she would be retiring and she just didn't say it publicly until recently. Also, Emilio Degardo said on Facebook that he did not know about the HBO deal until the general public did. It seems clear the the HBO deal was certainly more of a sudden and spur-of-the-moment kind of thing; with the previous announcements of this upcoming season (the new set, for example), they were slowly building up to them as far as announcing them to the public. The HBO deal is certainly short notice, and since this is more or less between SW and HBO and not necessarily the show's cast and crew, I'm sure most of them probably knew nothing about it ahead of time as well. As has already been pointed out, I doubt Sonia Manzano walked away from the show because she didn't like all of the changes that were being made to the show, I'm sure she just simply wanted to enjoy her retirement, as did Fran Brill. Well, you never know. It could have been a little bit of both reasons. I guess that's one of those things that could go either way. Wait a minute then. It's safe to say that if the HBO deal didn't happen until recently, they didn't exactly fund season 46, which was probably wrapped by then, right? Does this mean that they're going to start the HBO First, 9 months later Public television airings this season? Seems kind of a cheat, really. I'm going to be completely honest here. Even with Hasbro getting the license, the problem with the merchandising funding stems from the disappointing nature of the merchandise. Sure, Funko has their Sesame Pops that are excellent... but I'm very disappointed about the lack of collectibles from Hasbro, considering they're very collectors friendly with all their lines...even MLP (especially MLP). I really was hoping to see the two figure play packs become a legitimate line, but it took so long to even get a second series in, and it was just more of the same characters. Meanwhile, no one's buying giant $60+ Elmo gimmick dolls, and haven't since before Elmo Live. That had the distinction of coming out right when the Recession hit. I've also noticed less and less adult sized shirts as of late. They used to be very common place, now... not so much. You'll find one or two here or there, but not the bonanza we've seen years prior. As someone that frequents the young mens section at every store that sells them, I see lots of Star Wars, lots of comic books, and even odd 90's stuff coming out now... but there's like one sad Cookie Monster shirt there, and that's it. Yet none of this cuts to the meat of how things fell so far and so fast, funding-wise. None of these articles, enlightening as they are in other ways, address this. None of the writers seem to be aware of Sesame Street's formerly enormous output of 130 hours a year, which it maintained without a break for nearly two thirds of its history. No one has explained why that was possible for so long and then became impossible within only a five-year span, and as the years went by, became beyond unthinkable. The corporate sponsorship hasn't been mentioned in any of these articles. It seems the general funding comes from PBS, their merchandising, and corporate sponsorship. And I believe you mentioned something a while back. Surely, there are still "Arthur Vining Davis Foundations" and those little charities that donate en masse to PBS shows, but you really don't hear much of them. Which brings me back to point... the corporate sponsorship doesn't really want to donate what it used to, and the ones that donated the most are the very same companies that Ralph Nader got upper middle income housewives to be all Helen Lovejoy over (as in "Won't someone PLEASE think of the children." I reiterate. For all the crap that they gave Sesame Street having McDonalds as a corporate sponsor they didn't get angry at Sesame Street needing McDonalds sponsorship. Because why worry about a cultural icon being in danger when you can worry about how little Madison and Tyler being fat, like the poor, ethnic kids, and therefore being a bad reflection on them? corporate funding becoming increasingly less altruistic, also smaller companies that can't give more are the only companies that won't look bad on a Press Release. The increase of children's programming by self sustaining companies like Disney and Viacom, especially with emphasis on volume and merchandising. The decrease of kids buying merchandising, especially dying home video formats and expensive gimmick plush toys. The reliance on expensive to produce segments and more focus on expensive to hire celebrity guests than before to keep in competition with the hundreds of other TV shows for preschoolers. All seem to come together to make Sesame more and more expensive to produce and less and less self reliant on funding. That said, the 130 episode a season output was mostly rerun footage repackaged. But even producing those episodes based on reruns is pretty expensive (someone's got to sift through the footage to piece episodes together), so other than absolutely needing that for 2 of the 3 previous seasons, it's easier and cheaper just to rerun reruns PBS already has. I'm more concerned about how they've said that they've only been able to release 18 new episodes a season, when last season had the full 26. Does that mean season 46 would have been a step backward? I'm more concerned about how they've said that they've only been able to release 18 new episodes a season, when last season had the full 26. Does that mean season 46 would have been a step backward? Yeah, that figure is confusing and concerning me. I feel like 18 is something off-handedly said by someone interviewed and it's been run with. The Mashable link says PBS runs a total of 44 shows a "season," even though this year, they had 51. If you take 18 from 44, you get 26. Maybe that's the mix-up. But, I don't see how they can "repeat" storylines in season 46 to bring it to 26, considering the new set and everything. If it's a mere 18, I wonder which letters/numbers they had to "fire." Hmmm. I checked both season 43 and 44, and even then the number of new episodes was over 18. So there's clearly some mistake here. But I still wonder about the 46th season. I'd gather the half hour format must've been in consideration for a while, but everything about the HBO deal suggests it was much more eleventh hour. Does it then mean if 46 is to premiere on HBO that extra episodes that PBS didn't order will be put into production soon enough, or will their initial HBO season just have the amount shot for PBS? Or did they do that thing where they film 2 seasons worth of material in one sitting? Anyway, I'd love to see a half hour version change the format, especially if HBO is at the helm. Wishful hoping, it would be great to see the street story broken up to 2 parts, one at the beginning and one at the end with the letters, numbers, and additional segments in the middle. I'd bet realistically they'd get rid of the Murray tune ins and maybe the letter and number of the day intros to free up some time. I'd hate to see it come out of the street story because short street stories can have weak flow, like Everyday Magic. In the end, I'm very glad Abby's Flying School got the boot (due only in part to overuse of reruns, I actually liked the segment, just felt it was out of place), but I'm kinda disappointed about Super Grover 2.0 (even though it was as guilty of reruns as Abby), Crumby Pictures, and ...yes...even Elmo the Musical. While I made a big deal about both the half hour shortening and the HBO partnership, the more I hear the more I'm completely comfortable with it. This could very well be a new chapter in Sesame Street, and I think it's time I stay on the positive side until I find anything otherwise. That said... I wonder. I wonder if to fill the 9 month gap, PBS and SW would consider something similar to Sesame Amigos (obviously in English) made entirely out of segments to create "new" footage to suppress the number of reruns they have to make and or air. But that sounds like that could be too different a format from the regular half hours. I'd assume Crumby Pictures and Super Grover 2.0 will still be around. They're used in the current half-hour shows. It is a shame about ETM, though. 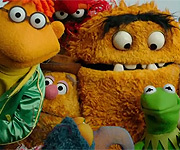 What's odd to me is that HBO wants a Sesame Muppet spin-off, when virtually, every long-form segment is technically a spin-off, as they air on their own internationally. I wonder what kind of spin-off it should be. Something like Play with Me Sesame? Something with all of the main Muppet characters? Something with just one or two or so characters? When I first heard about this, before I heard that HBO is desiring a Muppet spin-off, I wondered if it would have been best to just end Sesame Street and introduce a new spin-off featuring the Sesame Street Muppet characters. Preferably keeping the Sesame name somehow, even if the street setting isn't used (Sesame World sounds like a good title, though it sounds more appropriate for a show that features content from Sesame Street and every co-production... and I feel like such a show should be an hour-long). I had wondered if the "spin-off" should be a special "Best of Sesame Street" half-hour show... And as I was thinking up shows in my head, I spent less time on what I would do (fill the show with classic material each half-hour) and instead having it feature Cookie's Crumby Pictures, Super Grover 2.0, Abby's Flying Fairy School, Bert & Ernie's Great Adventures, and Elmo the Musical (the show would go over 30 minutes if all of those were included per show). One of the articles about the deal said there will still be an "opening street story," so I'm pretty sure it'll be the long story, followed by a series of inserts. As in, the entire show would be Muppet focused but virtually the same? I don't know how to feel about that. All they've said is that it will focus on a Muppet character from the show. That's it. Totally confused by the vagueness here. The spin off will be the show or in addition to the show. Just want to clear that up. I'd hate it to become the Elmo show literally, not in an Elmo detractor sense. It will be in addition to the show. I'm wagering it'd be based around Elmo, Abby or Cookie. Maybe even Murray and Ovejita and their adventures in the real world. Thanks for clearing that up. I really do like the idea of a spinoff show in addition to the half hour version. If the spin-off was based around Ernie and Bert, I don't know if I could take it (that would be 100% amazing!) Doubt that'll happen though. This sounds way more like a blessing then a curse, for many reasons people probably already said..
- And others I forgot! You know what would be odd but cool? If they decided to air the longer sketches on HBO's family channel as like in betweeners (like Elmo's World, Elmo the Musical, and maybe some new ones). Doubt it, but it would be cool to see.